Brace yourself – you’ve just entered a mega-monster WooCommerce plugins post. Trust me, this ain’t your grandfather’s WooCommerce plugin roundup. I’m going to take you through 60+ plugins to help you improve all aspects of your WooCommerce store. And lots more, some of it at the same time! Yeah, it’s a lot. I hope you’ve got a fresh cup of coffee! I’ll quit jabbering now and get into the best WooCommerce plugins. These plugins help you offer a smoother WooCommerce checkout process. They’ll also help you offer better shipping options. Later on, I’ll also discuss some plugins that improve payment gateways. 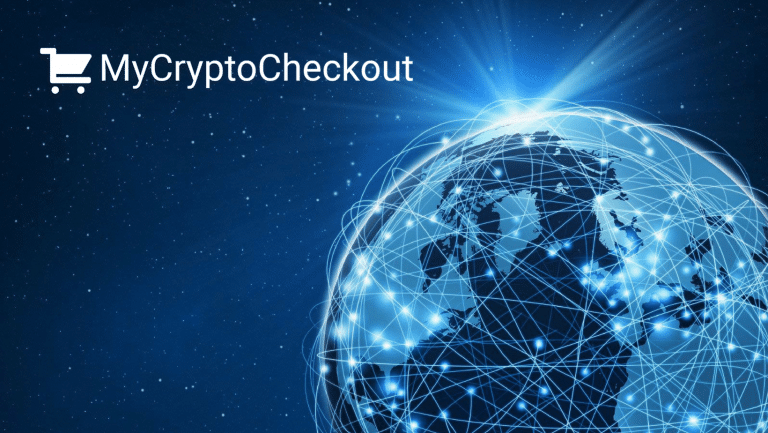 WooCommerce Direct Checkout helps you simplify your checkout process by letting visitors immediately check out when they want to purchase an item. That is, it eliminates the Add to Cart stage and goes straight to checkout. It won’t work for all stores, but it’s worth checking out. Table Rate Shipping for WooCommerce lets you add multiple shipping rates for a customer based on criteria that you specify. You can create multiple shipping zones and set rates based per order, per item, or per shipping class. Basically, it adds a heckuva lot of flexibility to WooCommerce shipping. And that makes for a better checkout experience. WooCommerce Checkout Add-Ons lets you charge for a variety of add-ons like gift wrapping, rush processing, insurance, and more. If you want to start offering these upsells, it’s the plugin for you. WooCommerce Checkout Form Progress Bar adds a handy progress bar to your checkout so that visitors know exactly how many steps they still need to complete. It’s a nice way to let customers know that your checkout process isn’t too daunting. As the name suggests, WooCommerce One Page Checkout slims your checkout down to a single page. Great for eliminating cart abandonment. WooCommerce Advanced Shipping is another plugin that beefs up how your checkout process handles shipping. Add highly customizable conditions using conditional logic to offer better shipping options. These plugins help you better analyze what’s going on at your store. You can see more options at our WooCommerce analytics plugins list. Metorik is the best WooCommerce reporting solution that I’ve ever seen. Rather than sitting inside your WordPress dashboard, you’ll work with all of your site’s data in the separate Metorik dashboard which looks great. Seriously, it’s so much nicer than trying to work in the WooCommerce dashboard. From the Metorik dashboard, you can view reports and create laser-targeted segments for customers and products. There’s also a dedicated subscriptions area that lets you see stats like churn rate and recurring revenue, which is great for membership sites or online courses. Metorik isn’t just for reporting anymore, either. The latest version also includes support for abandoned cart analysis, as well as sending abandoned cart emails. And you can also set up marketing automation to engage directly with your customers or connect to your helpdesk software to offer better support. If you’d like to learn more, check out our full Metorik review. Metorik offers a 30-day free trial. After that, plans start at $20 per month. Unlike Metorik, Enhanced Ecommerce Google Analytics Plugin isn’t a standalone analytics/reports tool. Instead, this plugin helps you take advantage of Google Analytics’ Enhanced Ecommerce tracking. If you’re already using Google Analytics at your WooCommerce store, you’ll definitely want to grab this one to benefit from that extra level of tracking. Analytify is an analytics plugin that helps you understand more about your WooCommerce store. It will set up all of the Google Analytics tracking so that you can grab reports specifically designed to give you deep insights into how your WooCommerce store functions and how you can improve it. We’ll share some plugins that help you actually send abandoned cart emails later on, but Abandoned Cart Reports For WooCommerce is more focused on just helping you track and analyze abandoned carts at your store. It will let you know how bad the problem is, and how much revenue you could recover if you lowered your cart abandonment rate. Multi-vendor marketplaces like Etsy have become a hot property lately. With the right plugins, WooCommerce is powerful enough to create your own multi-vendor marketplace. WC Vendors is a freemium plugin that sets you up with a fully-functioning physical product marketplace. While the free version is fun for playing around with, if you’re serious about creating a multi-vendor marketplace, you really should go with the pro version. Dokan functions similarly to WC Vendors. And it also includes a free version for you to play around with, though again, you’ll need premium for the most functionality. Dokan also has a number of additional premium extensions that add even more functionality. Dokan is made by WeDevs, who have a good reputation in the industry. Your product images are one of the biggest determiners of whether or not your potential shoppers actually buy from you. So you need to get them on point. These plugins can help. I reviewed WooThumbs a while back. It adds a whole bunch of functionality to improve WooCommerce product images. You can add sliders, zooms, and lots more. From personally playing around with this plugin, I can say that it’s very neat and well-designed. YITH WooCommerce Zoom Magnifier is a free plugin that helps you add a magnifying zoom to your WooCommerce product images. Basically, it helps your customers get a closer look at your products. YITH makes a bunch of WooCommerce plugins, so you’ve probably encountered them before. WooCommerce 360º Image lets your visitors get up close and personal to your products using a 360 degree image. Instead of uploading multiple images, you can just have one image that visitors can rotate around. Rather than trying to get more traffic, one great way to earn more money from your eCommerce store is to try to get more money from the traffic you already have. And one great way to do that is to make an effort to reduce your cart abandonment rate. These plugins can help you do that. Abandoned Cart Lite for WooCommerce lets you send email notifications to your customers who have abandoned carts. People report boosting revenue by as much as 30% through using cart abandonment reminder emails. WooCommerce Recover Abandoned Cart automatically sends emails to abandoned carts on a schedule that you specify. You can use unlimited templates for your emails. You can even send multi-sequence emails with coupons to boost sales further. YITH WooCommerce Recover Abandoned Cart not only helps you send out emails, it will also give you detailed stats on all of the abandoned carts for your WooCommerce store. Coupons are a tried and true sales strategy. These plugins will help you use coupons with WooCommerce better. If you’d like to learn more, check out our full Advanced Coupons review. WooCommerce Extended Coupon Features boosts the functionality of WooCommerce coupons by letting you restrict coupons by shipping or payment method or for certain combinations of products. You can also automatically add coupons to a shopper’s cart if the restrictions are met. WooCommerce Coupons Countdown adds real-time countdowns to your coupons. You can limit the validity period after a user registers or limit usage per customer. So you could, for example, give a coupon that expires 24-hours after a custom registers. Smart Coupons adds tons of functionality to WooCommerce coupons. It lets you offer store credit, generate lots of different coupons for a promotion, provide links with embedded coupons, and more. Unfortunately, it ain’t cheap, though. WooCommerce Volume Discount Coupons lets you give shoppers discounts for buying in bulk. You can either give a normal coupon or automatically apply the discount if a shopper meets the minimum quantity. It’s a good way to push customers to order more volume by incentivizing buying in bulk. If you want your eCommerce store to be successful, you really should put effort into building your email list. Growing your list will allow you to better promote products and sales. And that means more money in your pocket. These plugins will help you grow your WooCommerce store’s email list. As you might be able to glean from the name, WooCommerce MailChimp helps you integrate MailChimp with your WooCommerce store. You can subscribe customers to your list after they make an order on your site. And you can also choose from a variety of opt-in settings. Product Customer List for WooCommerce displays a list of customers who bought a product on the product’s listing page. You can then use that list to send an email to this customer’s promoting a different product you think they might also like. Woo Email Control gives you more control over how your WooCommerce emails look and function. You can add different sized product images, categories, and more. WooChimp gives you an even more flexible integration between WooCommerce and MailChimp…but at a cost. If you’re serious about emails, though, you may well want to pay for the extra functionality. Just like you want to build an email list, you also should establish your WooCommerce store on social media. All of these plugins help add social media functionality to WooCommerce. Woocommerce Social Media Share Buttons adds simple social sharing buttons to your product pages. I’ve seen some studies say that social sharing on product pages can reduce conversions, so you’ll want to keep an eye on that if you use this plugin. As the name indicates, YITH WooCommerce Social Login lets your shoppers use social login on your WooCommerce store. It adds social login buttons to the checkout page and My Account page, as well as your regular WordPress login page. Viral Coupon lets you give users coupons for sharing your store on social media. It’s a great way to boost social media visibility for your store, though it does require giving out coupons. Social Commerce adds Facebook shop functionality to WooCommerce. Instead of managing two separate sites (your WooCommerce store and your Facebook Page), Social Commerce automatically syncs the two. Any time you add a product to WooCommerce, you can have it automatically appear at your Facebook shop. People will only buy from your store if they can actually find the products that they’re looking for and have a good user experience. These plugins make it easier for people to use your WooCommerce store by boosting searching and product filter options. They’ll also just generally help you offer a better shopping experience, both before and after a shopper’s purchase. WooCommerce Predictive Search delivers instant results when users start typing in your search box. The dropdown of potential search results even includes product thumbnails and descriptions, just like some major eCommerce stores do. WooCommerce Product Filter lets shoppers filter your products by any criteria. You can use prices, taxonomies, stock status, and more. You can also use Ajax filtering and customize how everything looks. YITH WooCommerce Ajax Product Filter lets users dynamically filter your products without needing to reload the page. It’s great for helping users find the exact products that they’re interested in. Recommendation Engine helps you add relevant product recommendations to your store. They’re similar to how Amazon adds “customers who purchased this item also purchased…”. They’re a good way to show your customers other items they might potentially like. WooCommerce Multilingual lets you create a fully multilingual eCommerce site using WPML. You can translate all of your product attributes, categories, and more. Great for letting speakers of other languages navigate your site. WooCommerce Currency Switcher lets users instantly convert a product’s price into their currency so they can know exactly how much they’re spending. If you make your store multilingual, you’ll definitely want to tack this one on as well. WooCommerce Products Color Filters adds a really interesting piece of functionality to your WooCommerce site. Once installed, it will automatically generate colors for all of the products in your inventory based on each product’s primary color. Then, your shoppers can easily filter all of your products by color to find exactly what they need. WooCommerce Wishlists lets users and guests create an unlimited number of wishlists. Sometimes people don’t want to buy right away, but they still want to keep track of the products that they’re interested in. This plugin lets them do that. Guests wishlists are saved for 30 days while registered user’s lists are saved forever. And users can also choose to make their wish list public or private, just like Amazon. There’s even built-in social sharing to push shoppers to share their public lists. WooCommerce Products Compare lets shoppers easily select multiple products to compare against one another. If they can’t decide between two separate products at your store, this plugin can help give them the information that they need to make their choice. As the name suggests, WooCommerce Menu Cart helps you add a shopping cart button/icon to your site’s navigation menu. You can also opt to show other information – like how many items are in a shopper’s cart and the order subtotal. If your chosen WooCommerce theme lacks this functionality, WooCommerce Menu Cart is a great way to improve the user experience at your store. WooCommerce Waitlist is great if you sell limited capacity courses or you have out of stock products. Essentially, it lets visitors to your store sign up for a waitlist for out of stock WooCommerce products. Shoppers receive an email notification when the product is back in stock, which lets them know when they can complete their purchase. WooCommerce Order Tracker is a neat plugin that makes it easier for shoppers to track the status of their orders. It gives shoppers a graphical interface that shows them step-by-step what’s happening with their order (you can see the example above). You can also customize this tracker by choosing from a few different included templates and adding your own custom order statuses. Finally, the plugin lets you send email notifications to shoppers when certain statuses are achieved. WooCommerce AfterShip is another great plugin to help shoppers stay on top of the status of their order. Using the AfterShip service, it displays real-time shipping tracking data to your shoppers from inside of your website. All you do is add the tracking code from your shipping service and the plugin does the rest. This is a nice way to keep shoppers on your site because you’ll no longer need to send them to the shipping company’s website to view tracking details. These plugins help you use new WooCommerce payment gateways or improve the functionality of existing payment gateways. WooCommerce Stripe Payment Gateway lets you accept Stripe credit card payments directly on your store using the Stripe API. It comes directly from WooCommerce, so no need to worry about quality. PayPal for WooCommerce enhances the PayPal gateway by adding new options like Braintree, PayPal Express, and lots more. It comes from an official PayPal Partner, too. Accept credit card payments on WooCommerce using the Authorize.Net AIM gateway. Amazon Pay is a free option that integrates Amazon payments into your store. Shoppers won’t need to leave your site in order to check out with Amazon. Ok, this one isn’t technically a payment gateway. But I think it falls under the spirit of the category. USPS Shipping Method lets you use the USPS API to automatically generate accurate shipping rates for worldwide shipping. All of these dropshipping plugins will help you create a dropshipping store based on WooCommerce. Specifically, they help you connect to AliExpress for easy product sourcing and order fulfillment. Ok, WooDropship isn’t technically a plugin – it’s actually a service that you’ll connect to using the WooCommerce API. But the idea is the same as a plugin! So what does this service do? WooDropship offers a 7-day free trial. After that, plans start at just $14.99 per month. If you’re frustrated by having to manually edit all your AliExpress products, this is a great tool. You can pair it with the AliDropship plugin (that’s next) if you still want access to the sync/order fulfillment functionality. DropshipMe is free for the first 50 products that you import. After that, plans start at $29 for 110 product imports. Learn more in our DropshipMe review. AliDropship is from the same developer as DropshipMe and offers a lot of similar functionality to WooDropship. Unlike WooDropship, though, it’s a one-time fee rather than a monthly subscription. So – higher upfront cost, but you’ll save money in the long run. These plugins won’t affect your shoppers, but they will make your administrative life easier. WooCommerce Extra Product Options lets you easily add new product options to your WooCommerce products. You can create product variations, conditional logic, forms, and more. Editing products one-by-one is a Herculean effort if you have a huge store. WooCommerce Advanced Bulk Edit lets you easily run bulk edits on your products. You can quickly filter down to just the products you need and then easily apply the necessary updates. If you have a big store, it will save you tons of time. WooCommerce Product Feed Pro is a product feed generating plugin for WooCommerce based online stores. It comes with a variety of options such as updating product information to different merchant according to a given schedule, syncing via HTTP/FTP. It has a feature called Smart Filter which lets you exclude products of your choice from the feed, such as non-profitable or drafted products you don’t want to publish. You can also filter according to Title/Price/Availability. The Category mapping feature of this plugin lets you categorize your store products with the relevant category so that it becomes easily reachable to the potential buyers and also reduce your CPC/PPC rate. WooCommerce Product Feed Pro enables you to create Dynamic Attributes to demonstrate different types and classes of products. You can generate your product feed without the change of the attributes in your store. WooCommerce Feed plugin comes with a bunch of other options. It supports WPML which makes possible for you to create product feed in different languages. It also supports popular Multi-Vendor Plugins. WooCommerce Quick Export Plugin lets you quickly export orders, customer details, and coupons in .CSV files. It’s a bit mundane, but it will save you time if you need to do this regularly. You can even automate your exports if needed. The WooCommerce Print Invoice & Packing list extension lets you quickly print out invoices and packing lists to include with your shipments. You can even bulk print them to save time. Instantly print out a day’s worth of invoices with a single click. WooCommerce PDF Invoices & Packing Slips automatically adds a PDF invoice to order confirmation emails sent out by your store. You can also use it to bulk generate packing slips and create separate invoice numbers with custom formatting. “PDF Invoice and Packing Slip WooCommerce” is a WooCommerce plugin that enables you to generate invoice automatically after a customer makes a purchase from your eCommerce site. It is attached to the order confirmation mail sent from the store. “PDF Invoice and Packing Slip WooCommerce” can be easily downloaded and lets you customize it the way you want. You can incorporate your company logo and insert buyer and seller info into the invoice. It also lets you download localization and Bulk invoice and Packing slip for a specific date range. This fully customizable plugin generates invoice right after the order is placed and includes a basic template that can be downloaded and printed. The number format, date formats are customizable and the invoice is translation ready! This plugin generates sequential invoice numbers which allows an invoice to be tracked easily. All invoice texts are seamlessly customizable. Beeketing is a popular Shopify app developer who’s made the jump to WooCommerce. I know them because they’re a Hanoi-based company. And also because their apps are very cool. When you install the Beeketing suite, you’ll get access to detailed product recommendations, improved upsells and cross-sells, ways to boost your email traffic, and lots more. Basically, it’s designed to improve your store’s conversion rates and help you market better. You may remember Conversio back from when it was named Receiptful. Like Beeketing, it’s designed to improve a number of processes for your eCommerce store. It boosts search, recommendations, reviews, abandoned cart and more. It also helps you generate receipts, newsletters, and more. If you’re looking for a full-service WooCommerce improvement suite, it’s another good option. Omnisend is an e-commerce marketing automation tool. Its deep integration with WooCommerce allows you to use such automation flows as Browse and Product Abandonment, Cart Recovery and others. You can even add SMS marketing automation to your automation workflows for better engagement. Omnisend is an alternative for MailChimp for e-commerce businesses that need advanced automation. Want to set up your very own affiliate program for your WooCommerce store? It might seem like a daunting task. But it’s actually super easy to do with AffiliateWP. AffiliateWP tracks everything behind the scenes and makes it easy to manage and pay your affiliates. AffiliateWP is made by the same folks behind Easy Digital Downloads and Restrict Content Pro, so you can trust its quality. And it’s also designed to fully integrate with WooCommerce. You can even go advanced and give your affiliates special coupons or offers. And best of all, it only takes a few minutes to set up. No complicated install process. Phew, that’s a lot of WooCommerce plugins spanning a ton of different categories. If you made it this far, I hope you’ve come away with a few ways to improve your WooCommerce store. Where are the Simple and Clean WooCommerce Themes with no “Feature Bloat” ? Before I forget, we also got a great post on plugins for a WooCommerce Wholesale Store. And as always, if I missed a great WooCommerce plugin, let me know in the comments and share with the other readers. Hi, I was wondering if come across a Royal Mail delivery calculation plugin? Anyone know of a 1-Click checkout plugin for Woocommerce? I can make woocommerce one page checkout. Hi Sunil if you can help in Woocommerce plugin development, then i need your service. Amazon.com holds a patent for checking out with 1 click in the US. Which seems mad but it’s true. They’ve sued under it before and won. Kinda trolly. Doesn’t apply to Europe and the rest of the world though. The product slider carousel link doesn’t work. Does that mean it is no longer available? Any alternative suggestions? You can set different prices for different customer groups, like dealer, wholesale and so on. 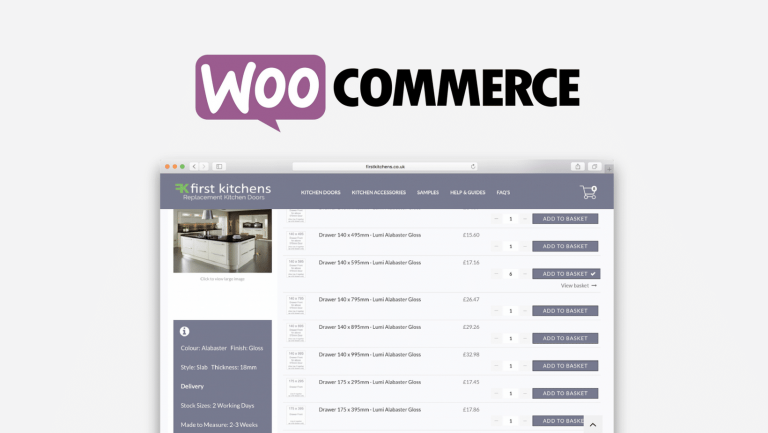 Check out WooCommerce Email Cart. Allows store admins to send a cart to anyone with a link to a pre-populated cart or checkout page. Very very handy for over-the-phone orders or support and also promotions. I would strongly suggest WooCommerce Advance Order Status too as it allows creating Custom Order Status with Email Notifications alongwith few extra features. Almost every store would need that. Know of any plugins which will restrict coupons to specific countries? This is a great group of plugins! It’s great top get a useful list of resources from a trusted source like WP Lift instead of having to spend time on Google and online groups. Thanks for mentioning StoreYa’s WooCommerce shop to Facebook – we appreciate the mention. We’ve got a handful of other great tools too! Productprint is a free plugin to add a print button to the single product page – useful for any Woocommerce store. Worth checking out. Great list of plugins! Such plugins can definitely help to boost the sales of an online store and attract more customers. I think plugins like WooCommerce Email Enquiry and Cart options can act as a great medium of communication between the store owner and a potential visitor. You can check out a similar plugin called Product Enquiry Pro by WisdmLabs. This plugin enables a store visitor to ask questions related to any product and the store owner can respond accordingly. Thus, an unsure visitor can be converted into sales. – Auto generate coupon for each new newsletter subscriber or new customer registration. Hi there, the plugin “Sell products by size” is no longer available..